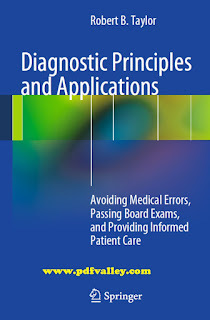 You can download Diagnostic Principles and Applications by Robert B. Taylor free in pdf format. 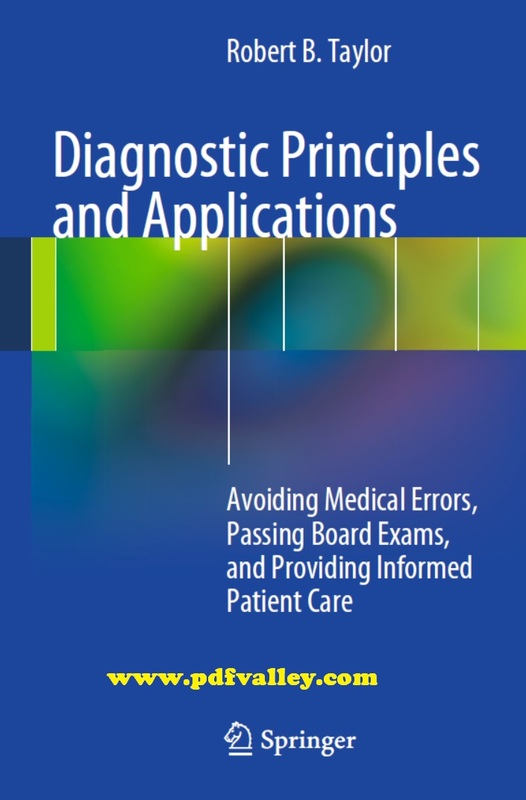 This book fills the need for a resource presenting important diagnostic facts that clinicians should have learned during their classroom lectures and subsequent clinical training, but often didn't. The content will be literature-based information that can help the clinician avoid diagnostic errors. Most other diagnosis books on the market are either 'physical diagnosis' texts targeting student readers or 'differential diagnosis books intended for use by practicing physicians, though both types of books aim to be comprehensive. What sets this book apart from other diagnosis books is that it is a curated collection of facts, tailored specifically to address common gaps in clinical knowledge and describe less-traveled pathways to important diagnostic destinations. This book focuses on high-impact techniques. Essential Diagnostic Facts Every Clinician Should Know contains: - Classical diagnostic pearls clinicians should have learned in physical diagnosis courses. For example, a patient with acute pericarditis may find that leaning forward relieves the pain. - Red flag symptoms of serious disease. For example, an infant that tastes salty when kissed might be the first clue to a diagnosis of cystic fibrosis. - Pathognomonic signs allowing an occasional early diagnosis: For example, Koplik spots in a febrile child are found only with measles. - Plastic pearls exposed: For example, contrary to clinical lore, back pain at night has not been found to be a useful indicator for serious spinal pathology. - Counterintuitive clinical manifestations: For example, the patient with gout may have a normal or even low serum uric acid level during an acute attack. - Clinical manifestations that may point to uncommon diagnoses: For example, nocturnal bone pain, sometimes dramatically relieved by aspirin, characterizes osteoid osteoma.